Having moved on from primulas, my new plant of the moment is the humble hosta. Hostas are one of those precious foliage plants that really enjoy being in a pot, where the leaves dangle like carrots above the heads of passing slugs and snails. New acquisitions this year include three ordered at Chelsea from Bowden’s Hostas: H. ‘Fantasy Island’, H. ‘St Paul’ and H. ‘Guardian Angel’. Pricey and still small, they’ll be pampered in pots until strong enough to fend for themselves. 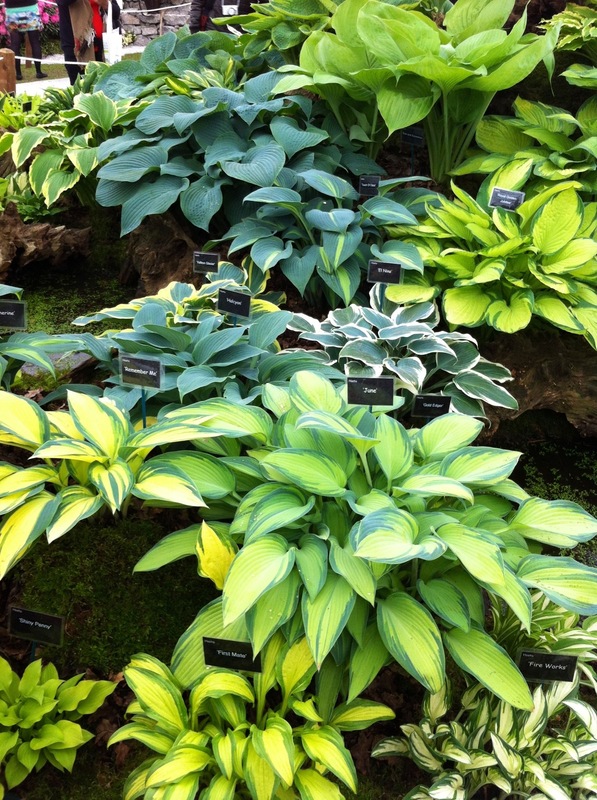 Just the word ‘hosta’ quickens my pulse. I’ve never met one I didn’t want. Gorgeous. Join me for a very brief glimpse of the glories of Fairchild Tropical Botanic Gardens here in the Sunshine State of Florida.